While watching the local news the other night, which is one thing I don't usually watch - I think I was watching the end of the Bachelor Pad and mindlessly kept embroidering when it came on. Oops, I probably shouldn't admit I watched the Bachelor Pad, (boo, holly!). Anyway, on the news I saw that Targets website went down. Target? What? Here's another little factoid about me, while I love handmade and I love vintage and I absolutely am an ardent supporter, and believer in gay rights and EQUALITY in general (boo, Target for that one; I mean it just shouldn't even be an issue!) I love Target. I would say that it's the closest thing to an affair that I am going to have for long time. Almost all of the clothes I have bought in the last five years are from Target. 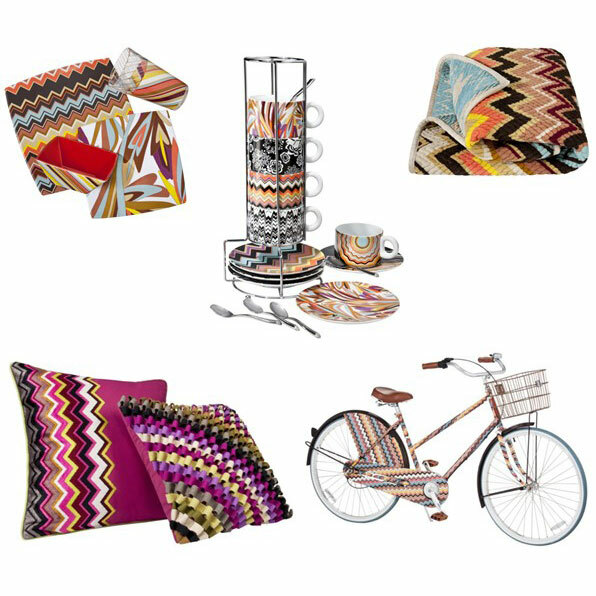 So when they said that Target's website went down due to the new Missoni line coming out, I realized I am definitely not alone in shopping for clothes at Target. But I was also really curious as to what the heck was going on? So I did a little poking around to figure out what all the hubbub is about. I had been seeing the commercials of the afgan looking chevron-stripes, and really, to be honest, I just wasn't that impressed myself, so I didn't mark my calendar or anything, or expect that others would. I mean there is some cute stuff here, how could there not be, there is about 100,000 different things in this line (I made that number up btw) but I think my lack of "oohs" and "ahhs" is mainly due to the fact I have bought my clothes second hand for years, and for several of those years I bought pretty exclusively second hand and vintage, so I had a lot these chevron-stripe sweaters that were made popular by Missoni the first time around in the 70's, and when I think them, I just feel itchy flashbacks. But apparently people flocked to Target stores, where it was described as mobs of people waiting in long lines to get in before the stores even opened. Store's sold out all over the country and, as I said, the website crashed due to a flood of people trying to get their hands on Missoni goods. So who is Missoni anyway and why did this happen? I mean, Target, as I mentioned, has launched several top designers for their seasonal collections but this has never happened before. To answer the first question, Missoni is an Italian designer in the ranks of Gucci or Armani, it's big time for fashionista's to be able to get these goods at such affordable prices. But seriously, are there enough fashionista's to go crashing through Target stores and buy out inventory by 8am? Or up at 5am to crash their website by 7 o'clock on Tuesday morning, the day this line was launched? And do that many people want to sleep in a chevron-striped bed, put on their chevron-striped knit wear, drink their coffee from a chevron-striped cup, dress their baby in a chevron-stripped jumper, then jump on their bicycle that is, you guessed it, chevron-striped? Well, maybe, but the real issue I have found is that there were other people out shopping for Missoni Tuesday, some people might refer to them as vultures. Apparently one of the reasons for this pandemonium is that, I guess with the heavy advertising Target has done since spring building the anticipation and the stock market down, people decided to give up their portfolios and invest in Missoni to resale on Ebay. There are some pretty interesting accounts of people going in and buying 80 pairs of shoes, while there was nothing left for the little fashionistas that just wanted one pair of rainboots. Sad. But don't worry, you can still get Mossoni for Targets collection online at Ebay, apprently there are over 24,000 listings for it! But forget the whole concept of "affordablility" here because those that crashed Targets website and cleared the racks are charging 4 times what Target was charging! I don't know about you, but this, for one, seems crazy and for two, it just doesn't seem fair that people can do this. Would the word extortion fit here? Maybe not but is seems pretty sketchy. 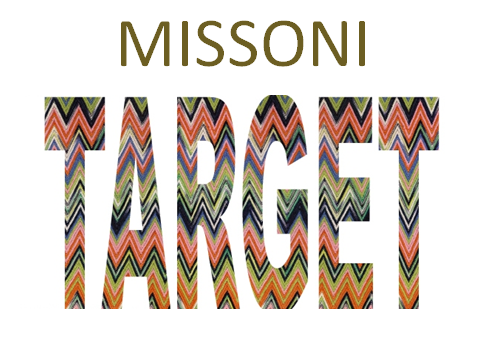 Well, while the average consumer might not be very happy about all this, I bet Target and Missoni are feeling pretty good, even with a couple hiccups. Labels: Design , Fashion , Misc. I love Target too and try not to get into the politics of this store. I agree with you about Equality 100% though. I'm not crazy about Missoni, I like their handbags but not so sure about there clothes. That's a pret serious fan base. So he should be flattered, right? It's unfortunate that the designs wont truly be affordable due to resale. Thank you! I have been wondering what this craze is all about. It looks like a 70's afghan to me and is probably overpriced! i saw the target shut down website mayhem on good morning america and couldn't believe it was over that. so.not.impressed. i mean really? not impressed. i just don't get it. I love the knitwear in the pictures. 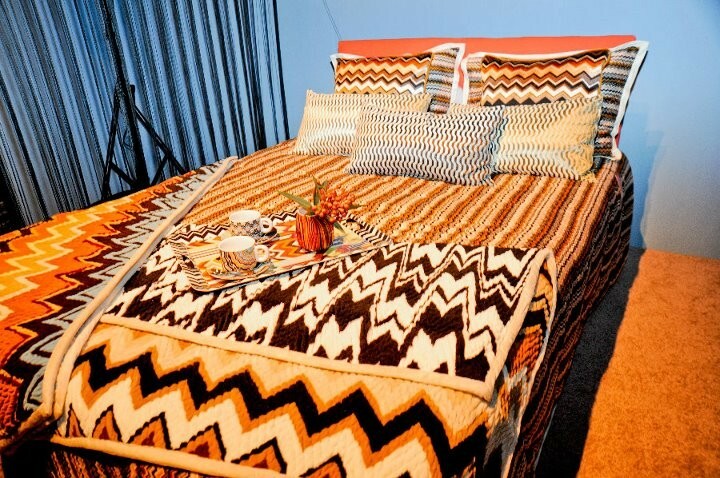 Except for the bed spread which is too seventies for my liking! Funny that I had no idea this line was even coming out until I saw it on the morning news, the next day. It is complete craziness. I can't even say that I'm liking the retro line. I'm still having a hard time grasping the 80s coming back into style, let alone the 70s. :-) Stopping by from VB today - hope you have a great weekend! I think I'll shop at Gap! :) Craziness!!! !